There were an improbable number of mustard bottles littering the kitchen table as we poked our heads through the doorway. In some ways, this apartment was just like every other in the crumbling edifice most recently known as Weyerbacher Terrace. Every kitchen featured an upturned refrigerator, unceremoniously stripped of its compressor. Every interior wall sported massive holes punched into the sheetrock where the pipes were removed prior to their trip to one of the city’s less reputable scrapyards. Still, regardless of its impressive assortment of condiments, this particular apartment stood out from the others. Giant stacks of newspapers, magazines, stuffed animals, assorted knickknacks and (yes) mustard were a telltale sign it was the home of a hoarder. But it was cluster of school photos, haphazardly tacked to the far wall, that was most striking. Someone’s niece, daughter or granddaughter watched over the cluttered room as scavengers and camera-toting urban explorers poked their heads into the apartment that someone was very clearly unprepared to vacate. In two years spent living in Chicago, I had cut my explorative teeth poking around the relics of the steel boom in nearby Gary, IN. Now, having returned to my hometown, a friend and I hoisted our way into a gaping window of a building whose future was, at that moment, very much in limbo. 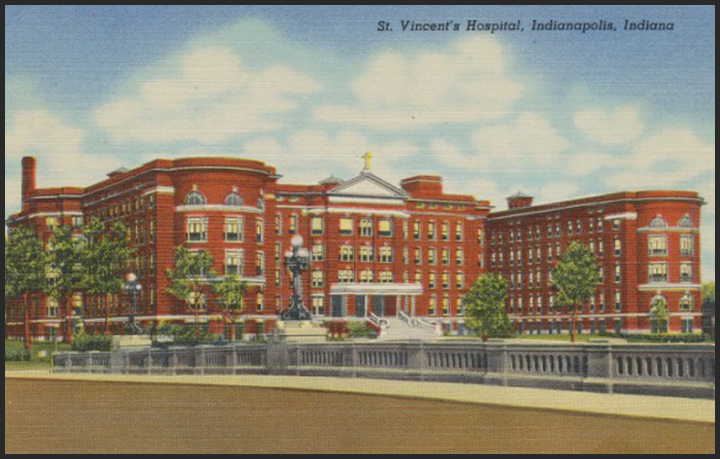 The origins of the building that would eventually be the birthplace of 50% of all babies born in Indianapolis between 1913 and 1974 and later the city’s number one criminal hotspot begins at the Vatican in 1878. After his consecration by Pope Pius IX, the new Bishop of Vincennes, Francis Chatard immediately set upon relocating the Episcopal See to Indianapolis. 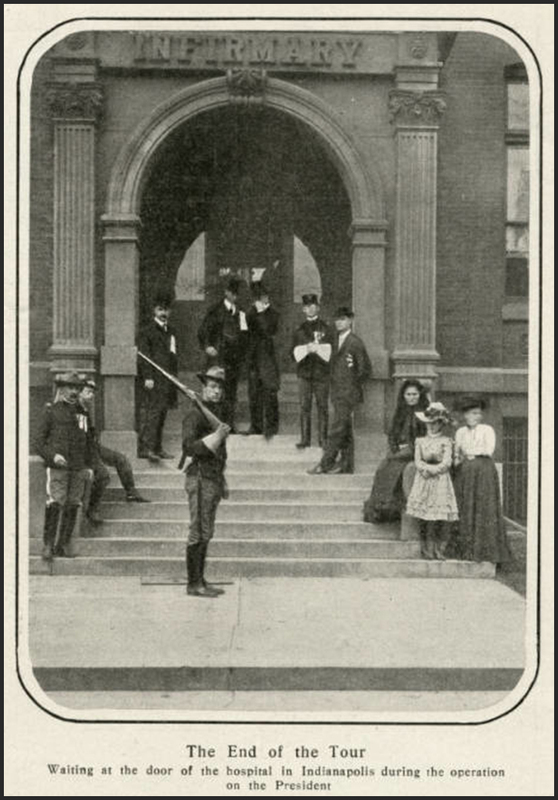 The young state capitol had swelled to a diverse population of nearly 75,000 many of whom were Catholic German and Irish immigrants. 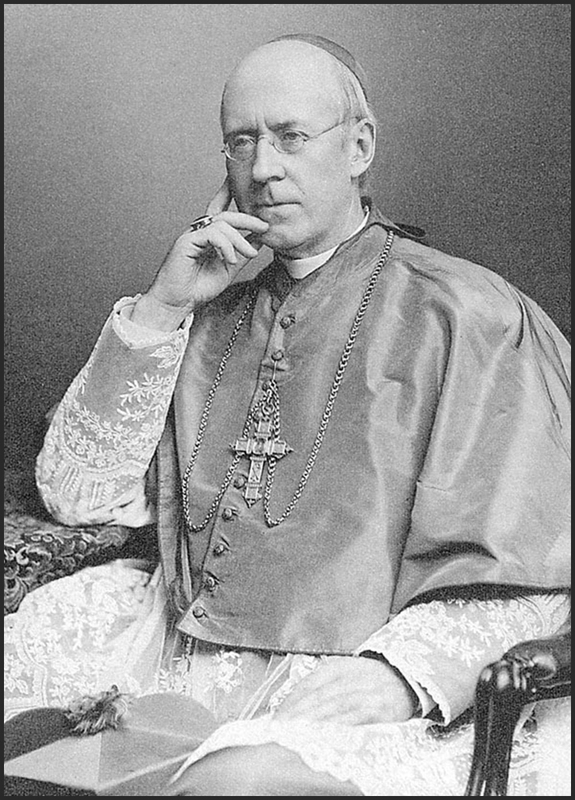 Chatard, who had studied medicine at the University of Maryland before entering the priesthood, was especially alarmed by the lack of any semblance of a hospital in a city of its size. 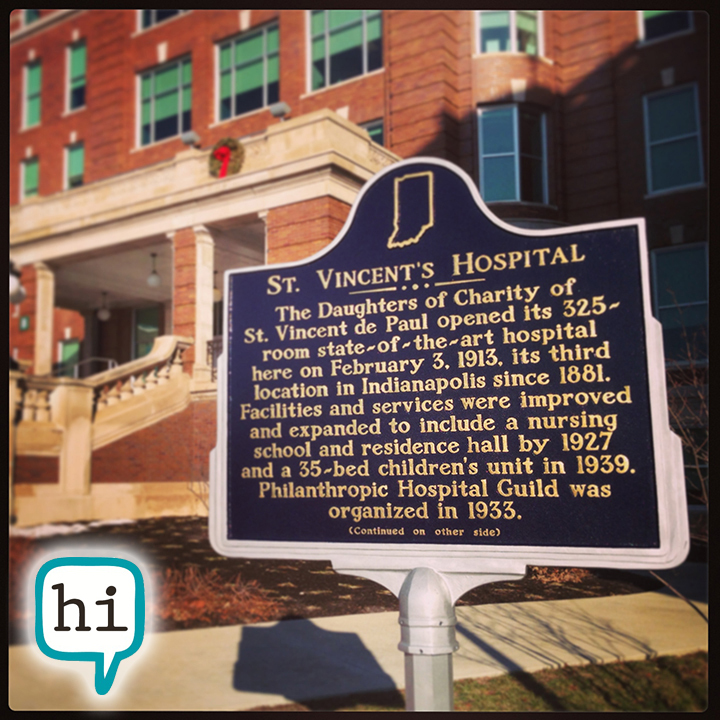 In 1881, Chartard reached out to Sisters Mary Theresa O’Connor, Oswald Spaulding, Albertine Ott and Magdalen Kelleher members of the religious order the Daughters of Charity of St. Vincent de Paul to come to Indianapolis and establish a hospital. With $35 between them and a $50 grant from Chatard, the four sisters set up a small infirmary in a three story house on East Vermont St. next to St. Joseph Church. Initially, the sisters faced a degree of anti-Catholic opposition to the founding of their hospital, but their willingness to care for anyone regardless of wealth or religious affiliation won them the support of the community. 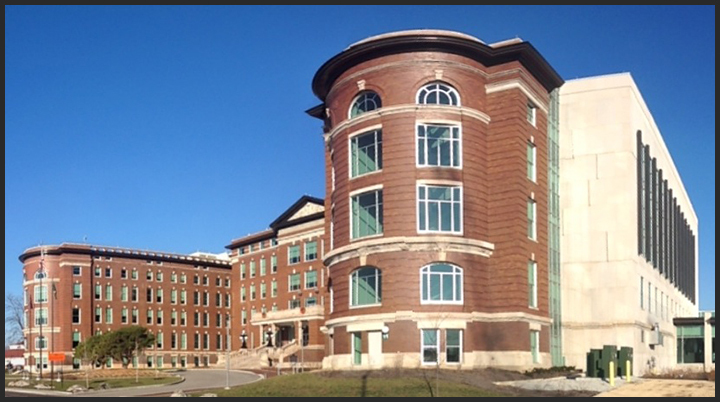 After a few years, the limited size of their facility on Vermont hindered their need for growth and in 1889, St. Vincent Hospital relocated to a larger facility designed by architect D.A. Bohlen near the city’s stockyards and newly constructed Union Station Terminal. It was here at St. Vincent’s South and Delaware Street second incarnation that President Theodore Roosevelt went under the knife of Dr. John Oliver, professor of surgery at the Medical College of Indiana and future St. Vincent chief of staff. Roosevelt had injured his leg earlier in his travels west from Washington D.C. and an abscess had formed. The procedure was a success though spelled the end of his western tour having to return to the White House to convalesce. 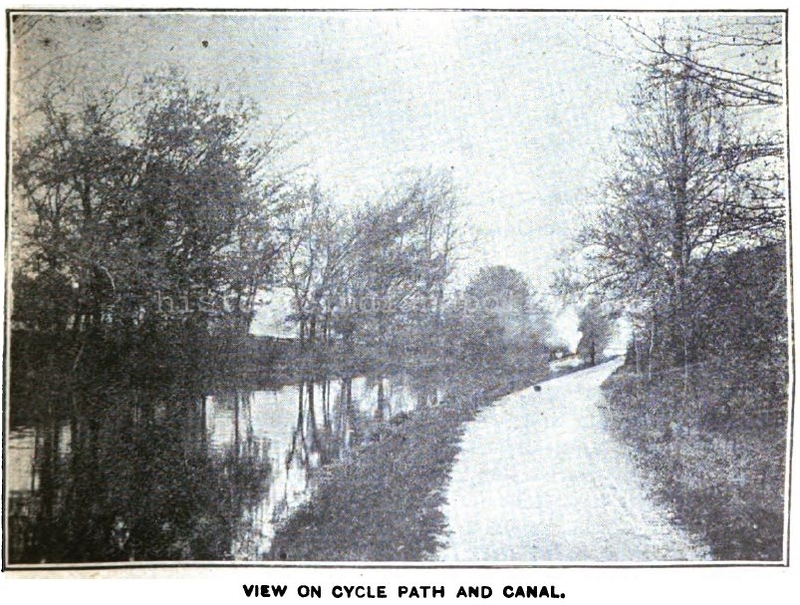 While St. Vincent’s move to heart of the city’s industrial district made logistical sense, many of its patient came by way of train or factory, the practicality of its new location was a different issue, which became glaringly evident in 1908. Industry had sprung up around the hospital in its 20 years on the south side, much of it serving Indianapolis’ burgeoning automotive manufacturing. One such operation was Carl Fisher’s Prest-O-Lite acetylene headlamp plant. As electric headlights weren’t put into production until Cadillac pioneered them in 1912, very early automobiles featured torch headlamps that were fed compressed acetylene by tubes from a tank on the car’s running boards. A small side effect of their production happened to be the occasional factory explosion. 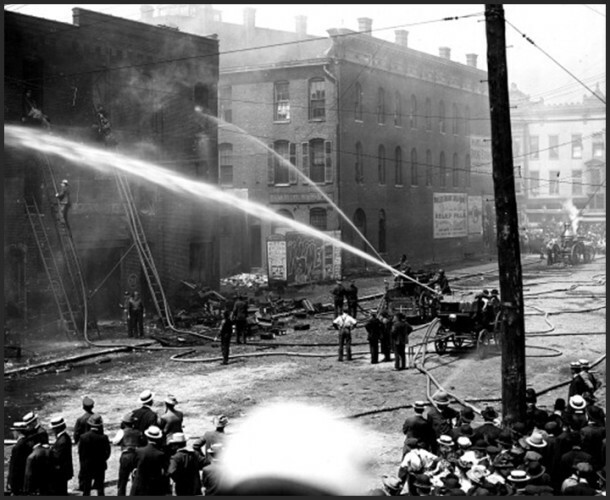 Two such explosions rocked Prest-O-Lite’s 211 E. South Street factory, the first in August of 1907 and the larger, on June 6th 1908, taking out an adjacent canning facility and covering St. Vincent with shattered brick, glass and yet-to-have-been-canned sauerkraut. Fisher relocated Prest-O-Lite to a small village west of town where he and three associates would build a two and one half mile long oval track the following year. Though St. Vincent was spared any real damage from the conflagration, the Prest-O-Lite incident confirmed a decision already in the works; the hospital needed to escape the noise, soot and occasional industrial disaster of the Warehouse district. With the backing of their national headquarters in Emmitsburg, Maryland, the sisters spent $60,000 in 1908 on several acres of land north of the city, over looking the banks of the Fall Creek. 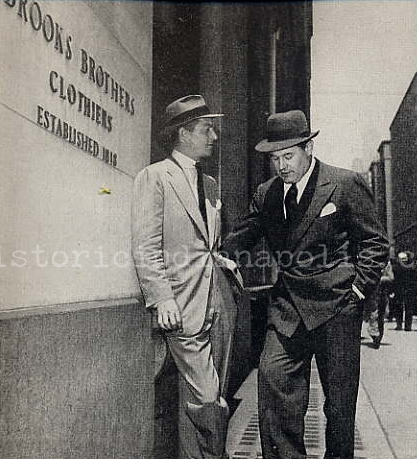 Known as Fairbank Garden Park, the land had been one of the city’s more notorious recreation destinations, home to at least one casino that “operated with a wink and a not from Indy authorities.” The sisters once again turned to D.A. Bohlen and Sons for the design of the third incarnation of St. Vincent, coordinating with city developers who laid out plans for Fall Creek Parkway at the same time. In May of 1910 ground was broken for the Oscar Bohlen designed five-story, 165,000 square foot building. Two long wings projecting from the main building, framing the inner courtyard and front entrance and allowing all 325 beds in the private rooms an outside view. The ambulance entrance was situated in the back of the hospital, off of 26th Street and fed into a series of first floor emergency operating rooms, kitchens and coolers. The main floor housed a lecture hall, dining hall, administrative offices, and pharmacy. Dormitory rooms for the nursing school, the maternity ward and the hospital’s chapel filled the third floor while the fourth was set aside for surgical suites, laboratories and more dormitory rooms. By the time Bishop Chatard presided over the July 5th, 1913 dedication of the new St. Vincent Hospital it had cost more than $900,000 to build and equip. St. Vincent flourished over the years on the banks of Fall Creek but as the city’s population fled to the suburbs so did the sisters, building their fourth facility on west 82nd Street in 1974. Soon thereafter, the downtown facility was remodeled into the 296-unit Weyerbacher Terrace, offering government subsidized housing to Indianapolis’ elderly and disabled. For nearly twenty years life at Weyerbacher was, if not good, peaceful. However, by the early 1990s, the combination of mismanagement, poor maintenance and changes in federal housing laws made life increasingly difficult for those on Fall Creek. According to property owners (read slumlords), public housing, especially buildings the size of Weyerbacher, were becoming increasingly difficult to fill with seniors as intended. To help fill space, permission was granted by federal housing authorities to rent to low-income single people who were neither elderly nor disabled. 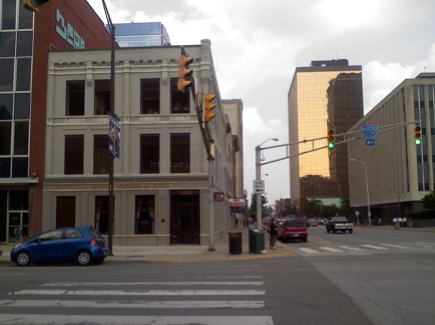 The resulting mix of elderly and young people with drug and alcohol problems in such a large building became an immediate problem, so much so that the Indianapolis Police Department set up a mini-station within Weyerbacher to try calm the nerves of its older residents. In spite of the increased police presence, by 2001 the complex was the IPD North District’s number one criminal hotspot, fielding an average of two emergency calls a day. By 2003 Florida based Federal Property Management, owner of Weyerbacher and six other low income buildings around Indianapolis lost all seven properties to sale or foreclosure and yet still owed the government $3 million that had been meted out for repairs to their properties but instead lined the owner’s pockets. The federal government seized Weyerbacher and evicted its residents, some of whom had lived within the former hospital since it had been repurposed in the 70s. The government then sold the building to the city for $10. The property was sold to the adjacent Ivy Tech State College for $1 so they could double their classroom space, though the sale was contingent on the agreement that Ivy Tech would preserve both the exterior of the building and the third floor chapel. Some four years later, while Weyerbacher sat slowly rotting from within, Ivy Tech began to sing a different song. Engineers and architects brought in by the college claimed the structure could not be saved. Interior load bearing walls limited the ability to repurpose the building into classrooms. And then there was the bottom line. It would cost upwards of $36 million to convert the building but only $29 to tear it down and construct a new one. 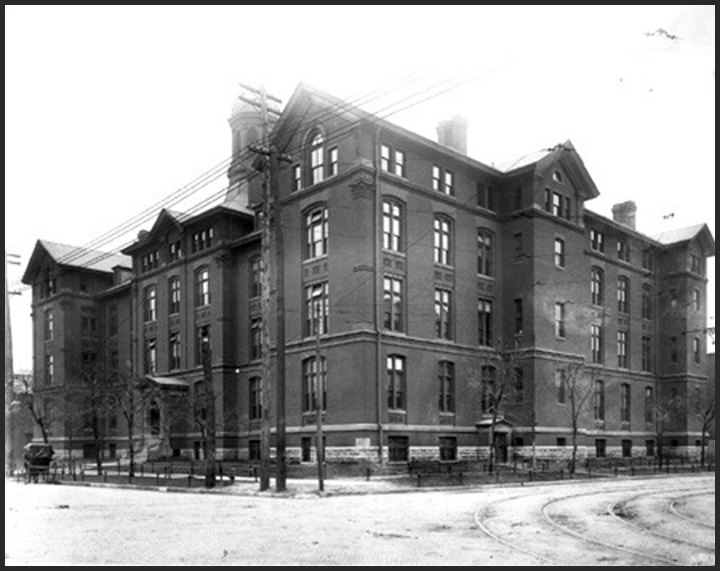 With that in mind, the college approached the city for permission to raze the old hospital. The city, in turn, directed the college to talk to its neighbors and ask their opinion before making a decision. In 2008 Marsh Davis, President of Historic Landmark Foundation of Indiana met with Ivy Tech president Tom Snyder in an effort to stop the demolition. As a compromise, Ivy Tech finally opted to preserve the facade of the old hospital, tasking Indianapolis architectural firm Schmidt Associates to incorporate it into a new classroom facility. While the chapel did not survive the demolition, the spirit and integrity of the Bohlen landmark remains. Much like the Circle Center Mall project completed in downtown Indianapolis in 1995 retained the facades of several historic buildings to preserve the essence of old Indy, preserving and restoring historic buildings reap benefits beyond creating an eclectic look. 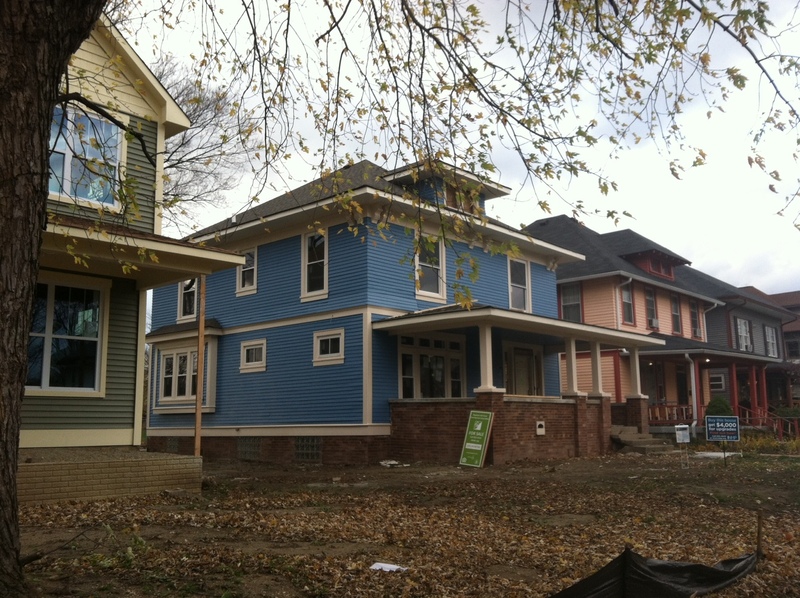 “There’s an economic development aspect to it,” said David Baker, of the Indianapolis Historic Preservation Commission. “Cities that retain their unique character tend to be cities that also are places tourists enjoy being and businesses find it easier to get people to come live there.” In this temporary, throw-away culture of ours, it’s unrealistic to believe that every historically significant building will be spared the wrecking ball. Even partial victories such as the preservation of St. Vincent’s facade should be celebrated and held up as an example of what magic is possible in the battle to save our architectural treasures. I purchased a knick-knack small China case that is stamped “Made in Germany” and has the Capitol Avenue Bridge and the Fall Creek St. Vincent Hospital on it, and I am wondering if anyone knows the date or if it commemorated an event?